The Megavent Storm® is a compact, but strong and powerful opener able to lift fully 70 % more than our small range window openers. Due to its compact design, the openers will at all times be within the frame of the window. As with all our other openers, it is featured with a long opening stroke. 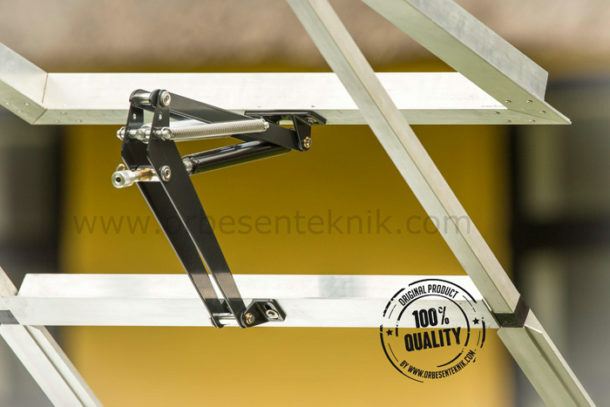 This will be a big contributor to give your plants in the greenhouse the optimal conditions. Furthermore, the opener will give you the possibility to steplessly adjust the temperature where the opener begins to open the window. The powerful Megavent Storm® is equipped with a shock absorber to prevent the window being ripped open by windy gusts or strong winds. 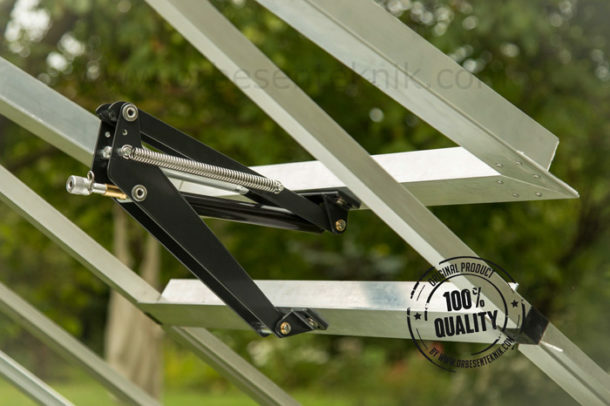 On both sides of the opener two powerful springs are installed which makes sure that the opener will handle even large windows in all kinds of weather.